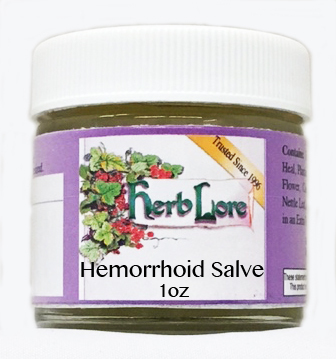 This herbal salve helps to soothe and heal sore, itchy and bleeding hemorrhoids. Many clients say that this salve has helped when nothing else will, even in the most severe of cases. Safe for use during pregnancy.